The Beach Quarters is a large two storey house located in a central position in Tryphena. Walk to two gorgeous safe swimming beaches, restaurants, Irish Pub, shops and the Wild Rose Cafe. This house has great views and amazing sunsets from the deck area. Ideal for families with the three bedrooms. 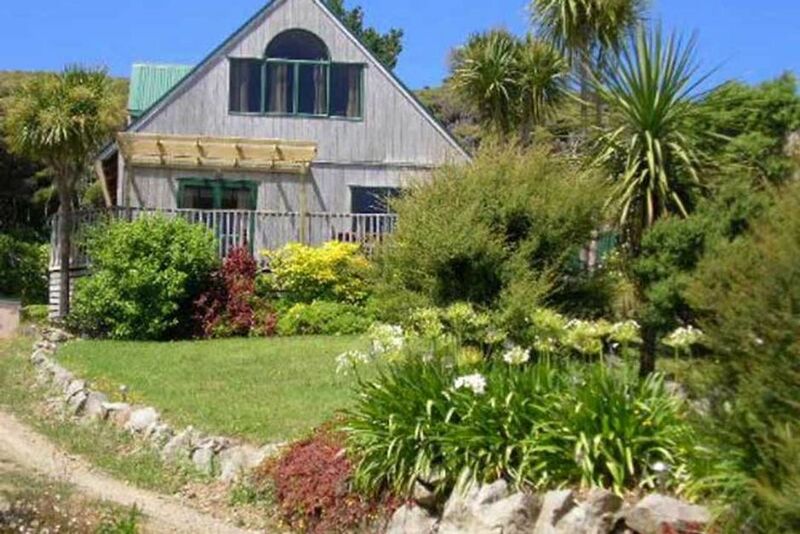 Book for your next holiday on Great Barrier Island. Plenty of room to park the boat. Property and location were good. Only one problem, the beds. 5 out of 7 beds were too hard with complaints from all all. Maybe it would be ok for 1 or 2 nights but not 4. Prime location for view and services. We had some absolutely fantastic few days staying at this place. We had some absolutely fantastic few days staying at this place. The bach is super charming! Lots of space both inside and outside. The view is stunning. We got the fire going as soon as we got there and kept it burning throughout our stay and it made the bach warm and cozy even though it was freezing outside. Will be back here again. Location and house were both awesome. Location and house were both awesome. Heaps of room for us all couldnt ask for any thing better. However the Only negatives would be the Kitchen appliances could do with an upgrade ie oven/stove and jug and toaster. And maybe new mattresses as they were quite hard to sleep on. Also the cleanliness of the property was really low as mold on ceiling in bathroom and floors needing to be mopped and all cobwebs removed. Also the neighbours dogs kept coming over and even ripped open the rubbish.